With an increasing number of vehicles passing its difficult small-overlap frontal impact test, the Insurance Institute for Highway Safety has introduced a new crash test which it hopes will create further challenges for automakers. 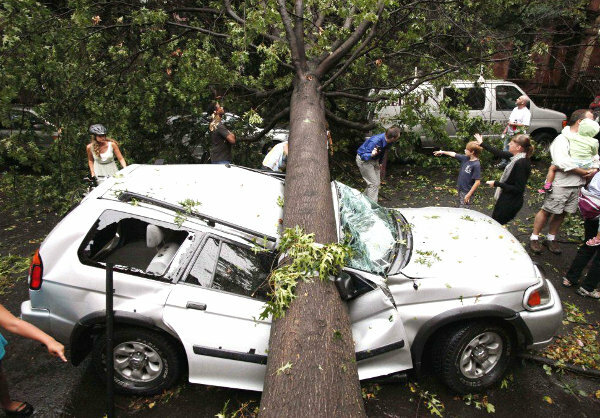 The new medium-overlap roof crush test consists of felling a large tree so that it lands directly on the vehicle. Cars that can pass all of IIHS’ tests, including the new roof crush test, will receive the Top Safety Pick Double Secret Plus Plus Mega Holy Crap award. Survive says that if the automakers are able to adapt their vehicles to withstand the new medium-overlap roof crush test, the IIHS is considering a large-overlap roof crush test in which a 25-ton marble slab is dropped onto the car from a height of ten stories.